With dear friends I’ve been to Wente out in the Livermore Valley–it’s in the San Francisco Bay area–and took part in a fun vineyard event this past fall. I didn’t have the opportunity to sample this Cabernet Sauvignon at the time, and I definitely would have remembered it–it’s spectacular. I cheated toward the weekend with the Cab on Thursday evening, opening the bottle to accompany a fantastic salmon that was slathered in a grape jelly/barbeque sauce mixture. We had it with spiced and salted potatoes and an “antioxidant blend” of mixed vegetables. The food was great; this dark, berry-tinged Cabernet Sauvignon was even better. My wife nodded and asked right away about the potential of more bottles. 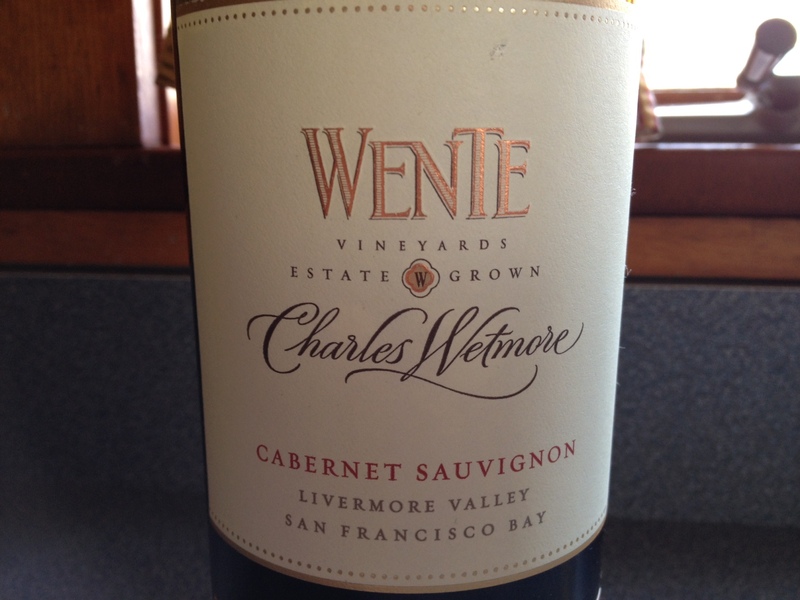 Wente Vineyards Charles Whitmore 2010 Heritage Block Cabernet Sauvignon, Livermore Valley, California, USA. Friday night we had “Happy Hour”, with the Wente Cabernet Sauvignon 2010 Heritage Block again playing a great role. This red didn’t have the spicy undertones that I often enjoy in a Pinot Noir or other Cabs, but there was plenty of red berry and something else (oak? earth?) that rang true for me. With spicy sausage ravioli (accented by basil and olive oil), this was great. A highlight of the week…bought this $20ish bottle for $15 and it was a steal. A must-have for sure.